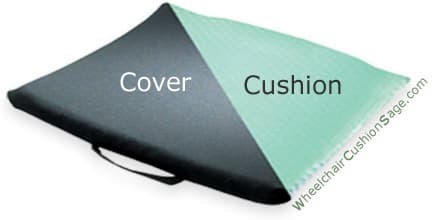 The Stimulite Silver wheelchair cushion can generally be categorized as a honeycomb cushion due to its honeycomb-like structure. 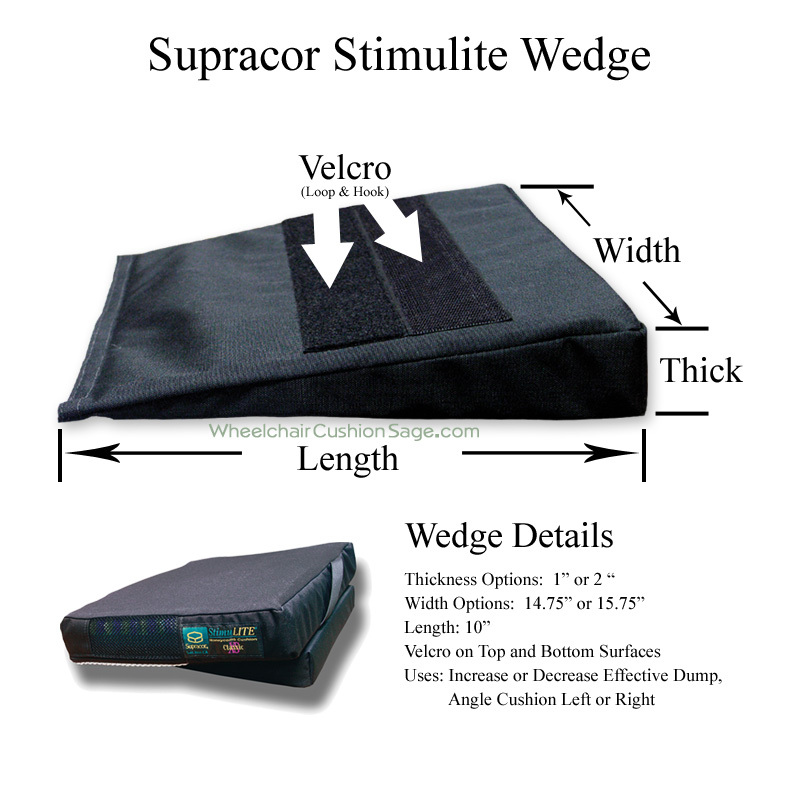 Supracor - the manufacturer of this product - specifies this cushion as follows. The Silver model is made of the same perforated and breathable, open cell structure as Supracor's other Stimulite cushions. The cushion's excellent breathability (as compared to other types of cushions) assists in the prevention of skin maceration. The Stimulite Silver also comes standard with a polyester cushion cover. If a custom taper, rail, notch, or leg cut is desired, complete and return the Custom Cut Stimulite form. Note that the back two corners are already inset a bit in Supracor's standard Silver cushion geometry. The extra cover option refers to purchasing a Stimulite Silver cushion and the extra polyester cover at the same time (not separately). The extra sheepskin cover option references real New Zealand sheep skin that stretches in true four way stretch fashion (i.e., the cover stretches in the width direction and in the perpendicular front-to-back direction). 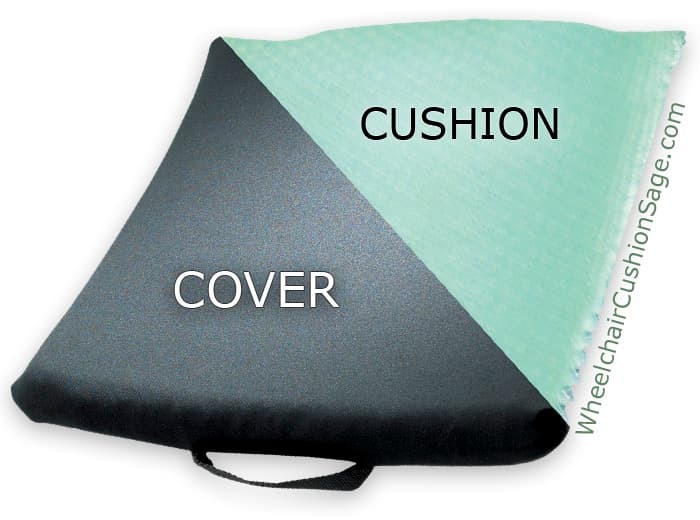 The optional water-proof cover fits around the top and sides of the cushion in shower-cap fashion. Supracor's Stimulite Silver model is not designed for people who have spinal cord injuries that necessitate being seated all day. The Stimulite Silver is; of course, suitable for use in wheelchairs, but only by people who have complete sensation in the buttocks area or are capable of standing. The cushion can be successfully used by people who; for example, are ambulatory and need only sit for a couple of hours at a time. This cushion can also be used atop stadium seats by ball game watchers, and atop automobile and office chair seats.